A unique, candid and intimate survey of the life and work of 12 of our most acclaimed writers: Patricia Grace, Tessa Duder, Owen Marshall, Philip Temple, David Hill, Joy Cowley, Vincent O’Sullivan, Albert Wendt, Marilyn Duckworth, Chris Else, Fiona Kidman and Witi Ihimaera. 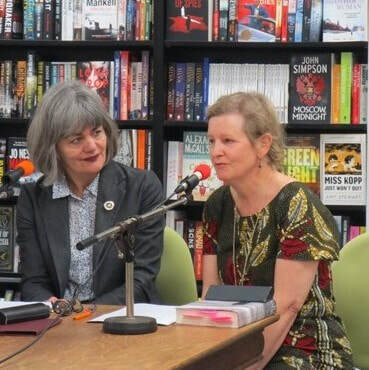 ​Constructed as Q&As with experienced oral historian Deborah Shepard, they offer a marvellous insight into their careers. 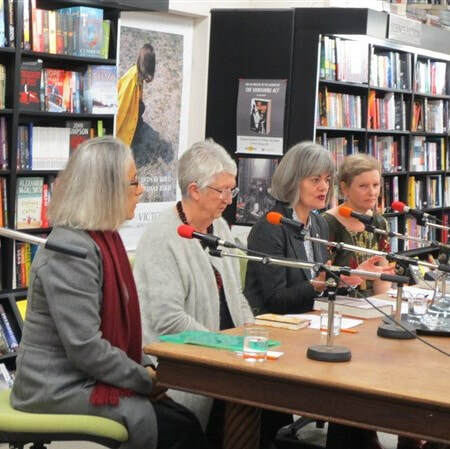 As a group they are now the ‘elders’ of New Zealand literature; they forged the path for the current generation. Together the authors trace their publishing and literary history from 1959 to 2018, through what might now be viewed as a golden era of publishing into the more unsettled climate of today. A pioneering generation of writers raised after the Second World War have founded the rich diverse literary landscape that we have today. Encompass everything from the complete life to the day-in-the-life. 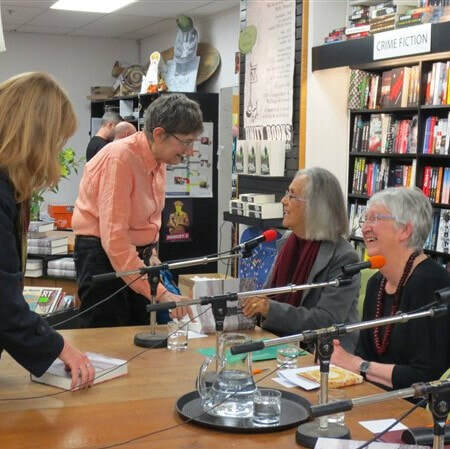 On Thursday November 8th, Unity hosted a lunchtime discussion between author Deborah Shepard, Massey University Press publisher Nicola Legat, Dame Fiona Kidman, and Patricia Grace about Shepard’s new book The Writing Life: Twelve New Zealand Authors. Deborah discussing her writing and interviewing process. 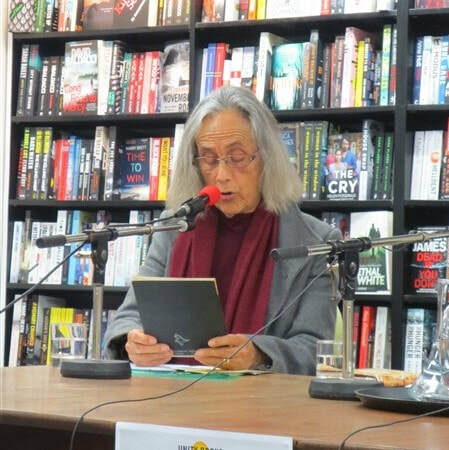 Patricia Grace reading a poem by Hone Tuwhare. Grace and Kidman signing copies of ‘The Writing Life’. You want to write your memoir? Discover the value of attending a Writing Class and hear past students experiences. ‘From Mother to Child: How dementia stole my mother’ by Joan Hugo Burley, a story from Translucence: Life Writing from Manukau and Papakura. "If you want to be inspired, take Deborah's course." "This is such a worthwhile course where emotional safety and student growth in writing are paramount." DEBORAH SHEPARD is a biographer, oral historian and teacher of memoir. She has also been a film, television and media studies lecturer at the University of Auckland. She has written entries on women filmmakers for the Dictionary of New Zealand Biography, the Le Dictionnaire Universel des Creatrices, (The Universal Dictionary of Women Creators) published in Paris in 2013 and in 2014 she contributed an updated ‘Reframing Women. Gender et Cinéma en Aotearoa Nouvelle-Zélande (1999-2014) to a special issue on gender, globalisation and film for the transdisciplinary, French-based and UNESCO-supported journal Diogenes. Her major publications include Her Life’s Work: Conversation with Five New Zealand Women (2009), Between the Lives: Partners in Art (2005), Reframing Women: a History of New Zealand Film (2000) and Giving Yourself to Life: A Journal of Pain, Hope and Renewal (2015).